I took the majority of the month of December to create a cookie blog…. quite counter-active to all of my weight watcher stuff… but.. I had a blast doing it & wouldn’t change that for the world. or the 10 pounds that I put on…. 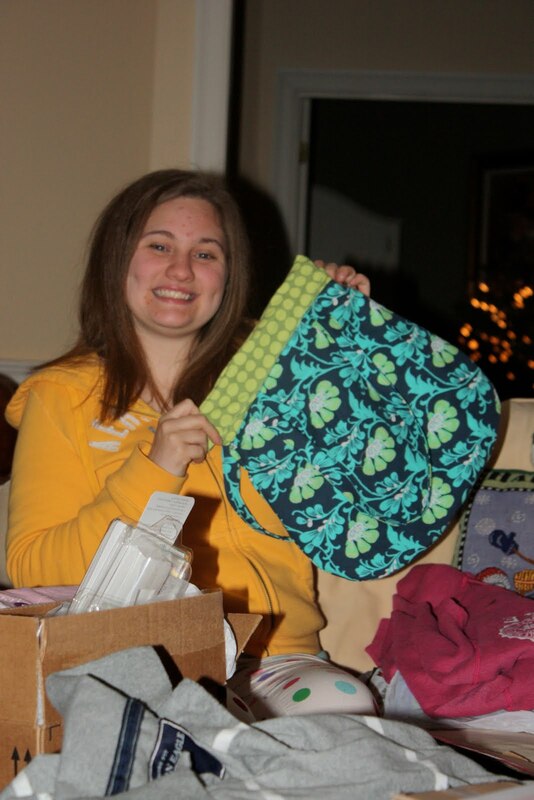 Frenchy bags for friends & family.. I’ve made many, and won’t bore you with all of the photos, but here is my daughter-in-law Amanda Christmas morning obviously very excited !! 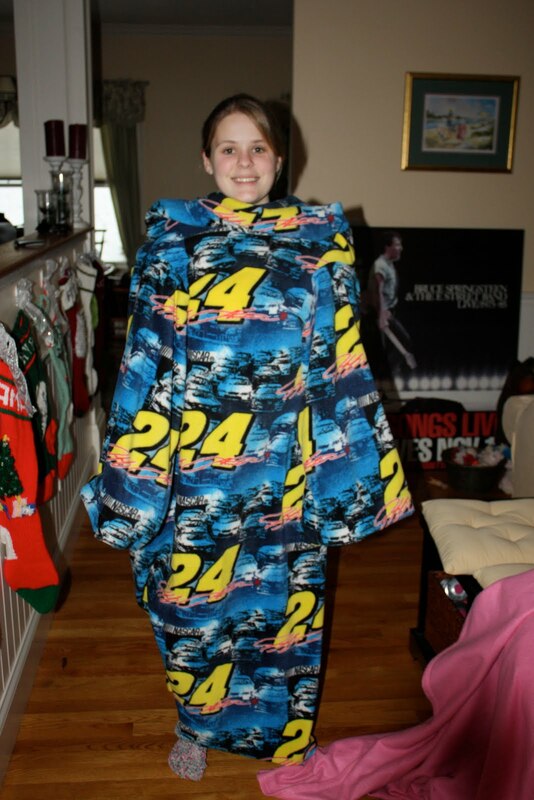 and making my own version of the snuggy… the michnugglie! … so the Christmas decorations are put away… the cookies are in the freezer ( for the occasional snack for the rest of the family) and I am back to(one of my most) favorite hobbies.. sewing!!! I am awaiting my new sewing machine *big smile* and in the mean time I am working on many projects that I have started… oh yeah, wait, they are called ufo’s, right? 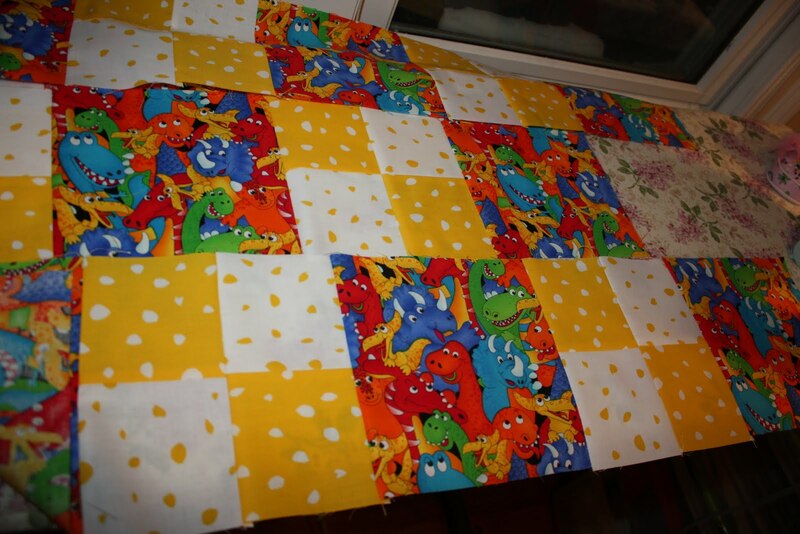 I have started by working on yet another quilt for Quilts for kids… an organization in need of many quilts for so many children… I thought to myself, ‘self, what better way to start of the new year than to make another quilt for a child who will love it’..
so here is the start of it…. That floral part is actually my new ironing board cover… after 20 years of the same one, it was time… man, what a difference!!! 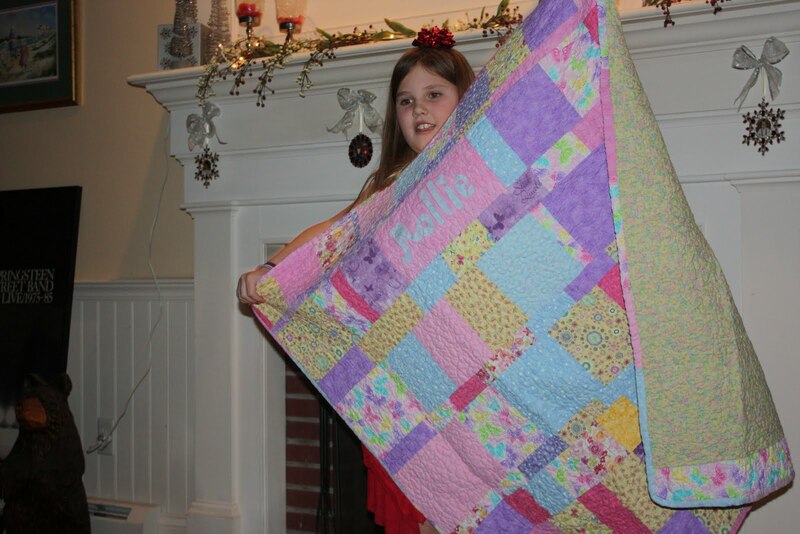 I hope that this bright colored quilt will make some child very happy…. 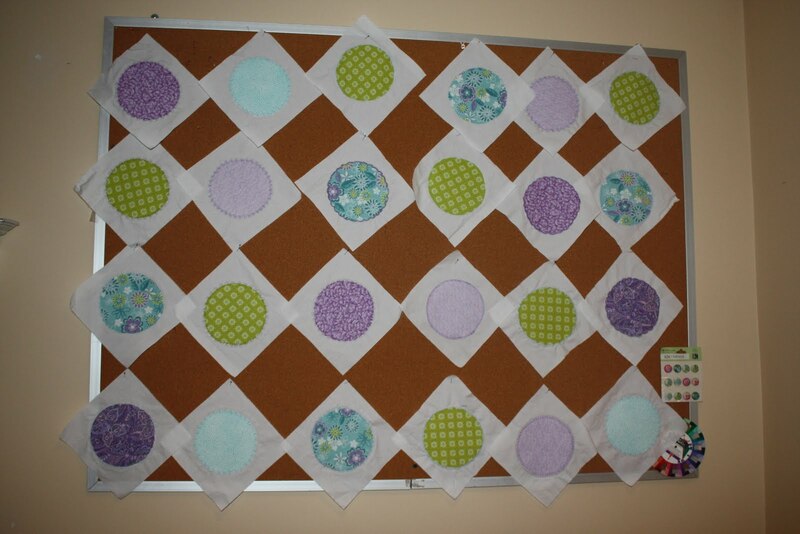 I am still playing around with how to actually put it all together, but it is based on this quilt from one of my favorite bloggers who sadly has just signed off….. Thank you Amanda! you have helped & inspired me so!!! so as I await my new machine, emptying my bobbins one by one, appliquéing circles, and creating happiness in a colorful animal quilts, I want to say, “Happy New Year! 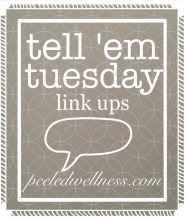 !” to all ( if any ) of you are reading.